Sisense AI Edge Analytics Wins 2019 BIG Innovation Award - SiSense Ltd.
Press Release from SiSense Ltd.
NEW YORK, Feb. 5, 2019 /PRNewswire/ -- Sisense, disrupting the BI market by simplifying business analytics for complex data, today announced that Sisense Hunch had been named a winner by the Business Intelligence Group in its 2019 BIG Innovation Awards. 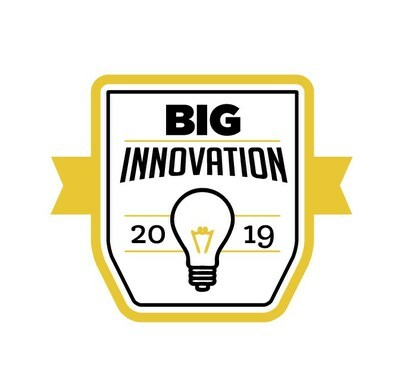 BIG Innovation Awards is an annual program that recognizes breakthrough ideas in business. Sisense Hunch represents a new class of big data analytics,data cognition engines, which can be applied to a number of revolutionary applications that were impossible due to latency and cost. Sisense Hunch puts the power of tens of billions of rows of data into a small, portable, cost-effective, and secure Internet of Things (IoT) package - effectively turning sensors, phones, and wearables into supercomputers. "The essence of innovation is developing a product or feature that upends people's' understanding of what technology can do," said Dr. Guy Levy-Yurista, PhD, Vice President of Growth and Innovation at Sisense. "Sisense Hunch represents one of those breakthroughs. We're proud to have worked on it, and proud, also, that its revolutionary potential is being recognized in the wider market through great awards like BIG Innovation." Sisense takes a radically different approach to business analytics. The company's obsessive commitment to consistent product innovation and customer success enable organizations to instantly reveal insights from complex data. It's BI for everyone, everywhere, regardless of technical expertise. Sisense's agility allows business users with no technical background to get the accurate intelligence at the very moment it is needed without waiting hours, days, or even weeks for answers. Sisense provides a complete business platform to prepare, analyze, and visualize large volumes and varieties of data. Its unique In-Chip® and Single Stack® technologies simplify every step of the BI process – from data preparation to discovery of insights. From innovative startups to global brands like GE, Wix, Nasdaq and Philips, thousands of organizations worldwide embed Sisense in their everyday business to reveal instant insights.